A strong working relationship between the not-for-profit sector and governments is the key to growing the developing social enterprise space and social innovation generally in Australia, according to a visiting expert. Yvonne Strachan is a deputy director in the Scottish government and the head of the equality, human rights and third sector divisions. Strachan is in Australia for the launch of Swinburne University of Technology’s Social Innovation Research Institute. Her visit also coincides with the Victorian government’s release of what has been described as Australia’s first-ever strategy to boost innovation in the social enterprise sector. The Social Innovation Research Institute collaborates with partners for citizen and consumer-engaged social solutions to complex social problems. The aim is to increase inclusion, raise wellbeing, use technology to disrupt entrenched practices and co-design useful services and products. 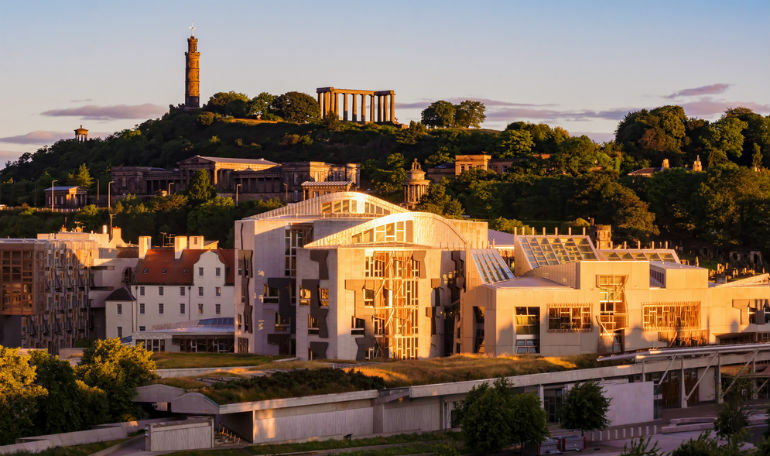 Currently, Scotland is said to be a world leader in social innovation policy. Strachan, who has policy responsibility for equality human rights and the third sector, which includes charities and the wider grouping and also social enterprise, told Pro Bono News she was in Australia to discuss the social enterprise model. “Historically, Scotland has had a range of experience with mutuals and cooperatives for hundreds of years and the idea of that kind of organisation with the economy wasn’t new but it had kind of lost its prominence,” Strachan said. She said the climate for change in Scotland helped develop a holistic package that meant that social enterprise was in the mix. “We put a lot of store in the methods by which we get the decision making,” Strachan said. “Co-production which is very, very much the relationship with the [NFP] sector. None of the policies or decisions have been developed in isolation from them so that was a help. “Their strong network has been helpful; but we have also worked to help them build on their strengths in the sector. “By that I don’t mean that you do everything that they want. It’s proper relationship and partnership where there’s challenges and discussion,” she said. “The view of government is to ask ‘what’s our skillset?’ We have knowledge and understanding and we have always argued that the experience of those who have had a lived experience or who have insight into [an issue] then the combination of that knowledge plus your academic work plus what government can bring is what can make for really good policy making and really effective interventions because it avoids the pitfalls of choosing and thinking something is good but doesn’t really work on the ground. Strachan said another aspect of their success had been with the Scottish government seeing itself as an enabler rather than a director. “When we are thinking about the provisions we have made because we have done it in consultation and discussions, we have tried to structure those so that they are enabling the sector to grow and be sustainable and not necessarily to increase its dependency on the state … because the effect subsequently is you look at the whole rationale to be a better business and to be sustainable,” she said. Strachan said that by the mid-2000s Scotland had already had the beginnings of a strategy and an action plan and the things it needed to put in place. “And then we had a government coming in in 2007 who really took this forward with passion and enthusiasm and for the last 10 years we have developed what we call an eco system which is a fairly holistic program of support,” she said. “This is probably where we distinguish ourselves. “It’s not because of the scale and size… we can’t compare with much bigger countries like Australia… but [what] we have managed to do is combine all the elements that we think are necessary. So it’s not just direct investment, not just a legislative framework, not just the networks, not just leadership and development, it’s not just procurement law it’s the whole thing together so that bringing all the different elements that are necessary into a coherent package if you like I think has given the environment to be created for social enterprise to flourish. “As well the other thing that coincides with the way the Scottish government has been thinking about how it organises itself. So there was a big shift in the light of a lack of sustainability in the economic climate that has been since the middle of the 2000s… the demographic of an aging population, the demand on public services, globalisation and all of those challenges and technological shifts. “The Scottish government recognised that just doing nothing was not sustainable so you really needed to have a different way of looking at the world and organising if possible. Strachan said she believes Australia and Victoria in particular have a strong commitment to growing the social innovation sector. “It is great to see the [Victorian] strategy emerge and in fact there are references to Scotland in it so we are pleased. That is reflective of the fact that there is a strong connection between Scotland and Australia,” she said. “Social Traders, the social enterprise intermediary, has been very active in that engagement and being open to the discussions that are going on elsewhere so that has been beneficial. “Swinburne has done a lot of work too. There’s mapping of social enterprise in Australia so there has been investment on thinking about the issues. Yvonne Strachan will be participating in a Public Panel Discussion: ‘Creating an enduring social innovation ecosystem: people, policy, and technology’ on Friday 31 March at the Wheeler Centre in Melbourne.